THIS Team Has Grown Again! We are proud to welcome Adam Tate and Matt Prawetz, Licensed Home Inspectors, and Jason Donkersloot, Oil Tank Sweep Specialist, to THIS team! Now Performing Oil Tank Sweeps! We are proud to welcome Jason Donkersloot, our Oil Tank Sweep Specialist, to THIS team! Read more about Oil Tank Sweeps in New Jersey. Total Home Inspection Services proudly welcomes Greg Norton to THIS team! 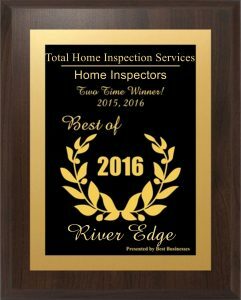 River Edge, January 12, 2017 — Total Home Inspection Services has been selected for the 2016 Best Businesses of River Edge Award in the Home Inspectors category by the Best Businesses of River Edge Award Program. This is the second time since 2014 that Total Home Inspection Services has been selected for this award. Each year, the Best Businesses of River Edge Award Program identifies companies that we believe have achieved exceptional marketing success in their local community and business category. These are local companies that enhance the positive image of small business through service to their customers and our community. These exceptional companies help make the River Edge area a great place to live, work and play. As some of you may know, I suffered a fall and resulting traumatic brain injury while on vacation in California in December of 2014. I have greatly missed working alongside my friends and colleagues while I’ve been rehabilitating these last 20 months, but am happy to report that I am now back running the business, scheduling inspections, and sharing laughs with my many realtor friends and clients. 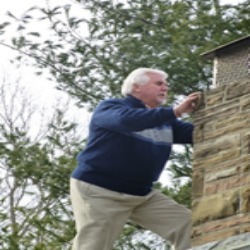 While I won’t be climbing on roofs any time soon, Neal Lewis, Mark Bragin and Tim Nadzan are continuing to deliver the thorough inspections you’ve come to expect from Total Home Inspection Services. I am deeply grateful to them, and to all of you who continue to place your trust and confidence in THIS. We are proud to announce that Total Home Inspection Services is approved for the GI Bill® as a registered apprenticeship program by the Department of Veteran Affairs. 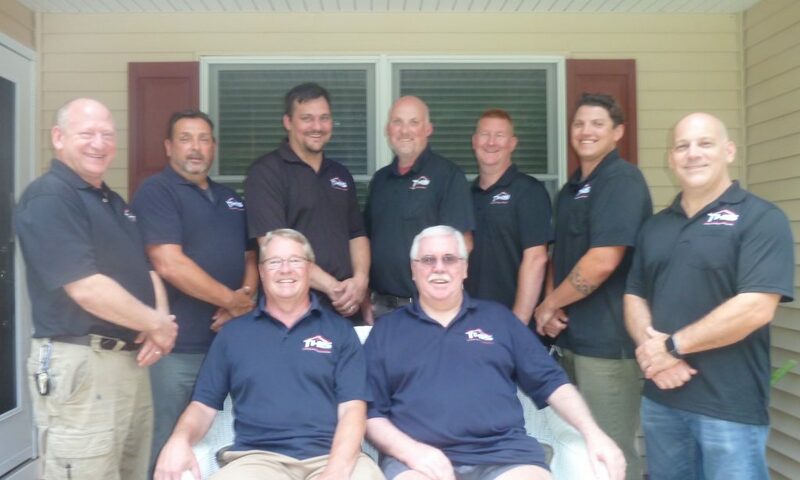 Our apprenticeship program provides Veterans with the opportunity to become a fully-licensed home inspector in the state of New Jersey, following rigorous training and apprenticeship with our team of experienced inspectors. We are honored to give back to those who have served, and look forward to bringing our first Veteran apprentice on board in the coming months. “GI Bill®” is a registered trademark of the U.S. Department of Veterans Affairs (VA). Home Inspectors are required to complete 40 hours of mentored inspections (about 13-14 inspections) before they are licensed by the state of New Jersey to conduct inspections on their own. 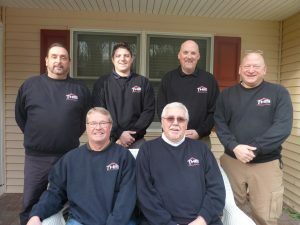 Total Home Inspections Services requires our inspectors to complete 200 mentored inspections, fully supervised by our senior inspectors, before we cut them loose and allow them to do inspections on their own. You get the expertise you need when you hire THIS! 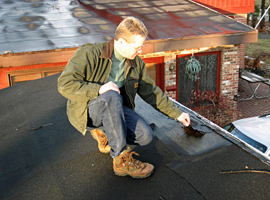 Home Inspectors were first required to be licensed by the state of New Jersey in 1998. Before that, anyone could hang up a shingle and call themselves a home inspector! 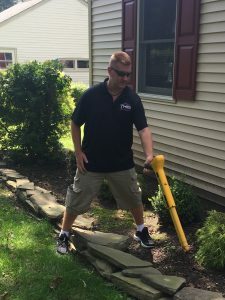 Our own Neal Lewis was the 12th home inspector to be licensed by New Jersey, a testament to his 30+ years of experience! Amazing since he looks like he’s just 29 years old!